Dunkin’ Donuts One-Day Dunkin’ Sale last Saturday, March 19 was one of the good deals we got for the kids. We were waiting for the breakfast place inside SBFZ (Subic Bay Freeport Zone) to open we passed by the next store which was Dunkin’ Donuts. Good thing we did check the store because that day donuts and coffee was on promo in a set package for that day only. For both sets, you can save between Php140- Php149. 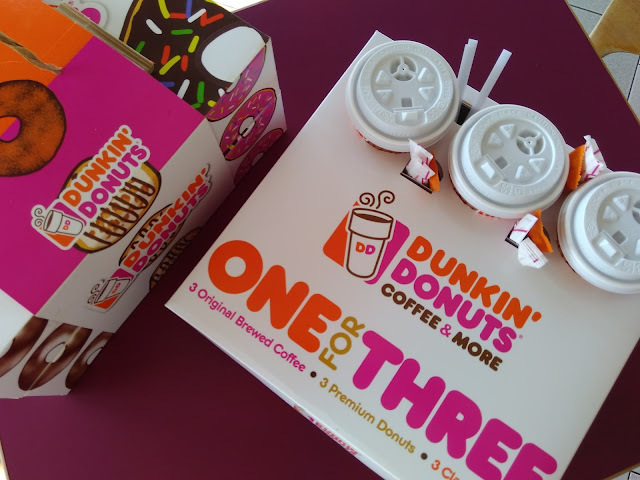 We chose Set B and requested for Dunkin’ Donuts hot coffee to go along with the other breakfast meal we intended to buy. We brought home the boxes of donuts for the kids to enjoy. This how the products were presented to customers it was nifty and colorful as always, especially the One for Three boxes. For peso saving from food or snack, you like to buy for yourself or for the kids this was one of the good deals we got. The donut lasted until yesterday for a Sunday afternoon snack. 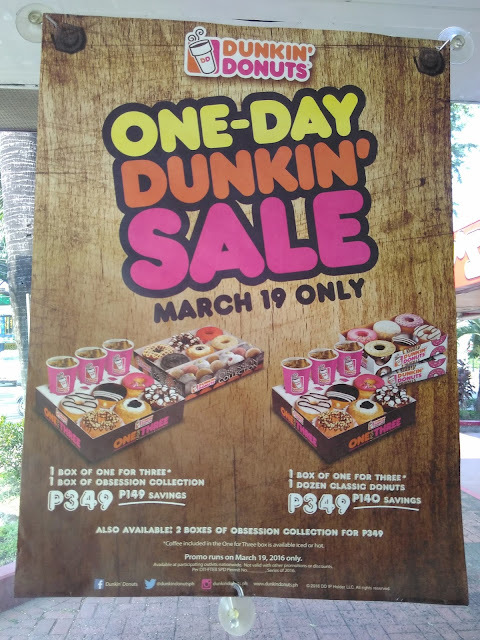 Were you able to purchase from the Dunkin’ Donuts One-Day Dunkin Sale?